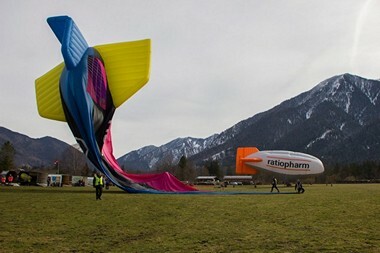 The 3rd European Airship Championship was inaugurated by CIA President Jean Claude Weber and Josef Bierschneider the Mayor of Kreuth. 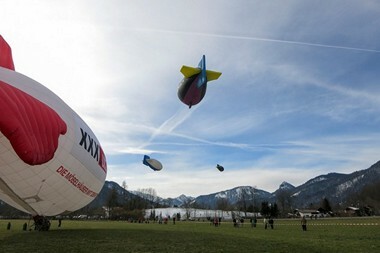 The Tegernsee valley was chosen as the venue as it offers excellent flying conditions for airship flying and for the long experience of the local tourist authorities with the ballooning fraternity. 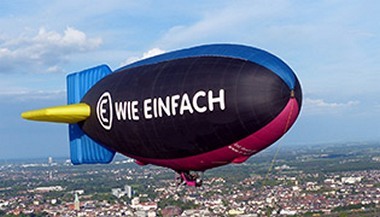 The first European Airship Championship was held in Besancon, France in 1889 and the second almost a century later in 1991 in Mondorf, Luxembourg. Another 25 years would pass before the 3rd championships saw the light of the day. 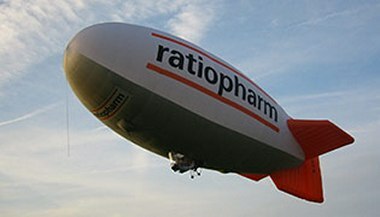 Unlike hot air balloons that depend on the wind for propulsion Airships are powered craft flown by a pilot. Vertical movements are achieved by heat control from propane burners attached to the pilot cabin whilst forward movement is supplied by a powerplant. 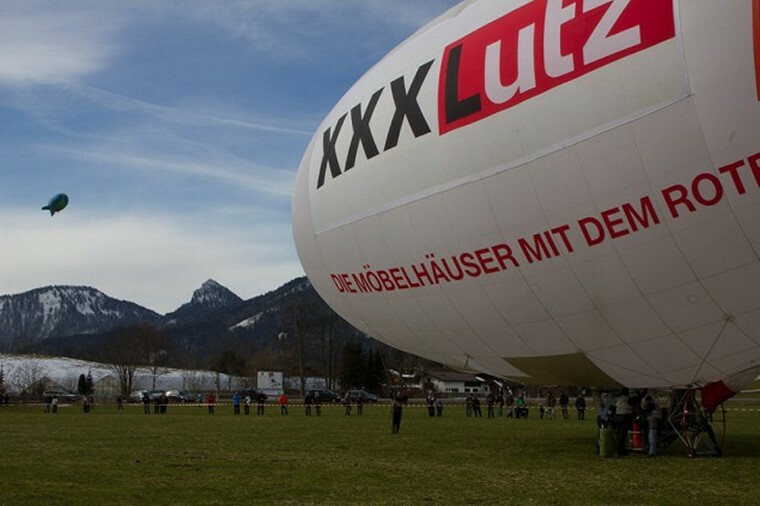 Rudders mounted on the back of the airship allow precise direction control. The pilot coordinates all movements to achieve navigation, speed and precision flying tasks. Navigation tasks generally consist in flights of two hours during which pilots aim to reach distant goals within a given time before returning to base to complete the flight. In Speed races pilots perform a Le Mans type start that sets them off for a pylon race for several laps around a circuit. Overtaking at the turning points is very spectacular. 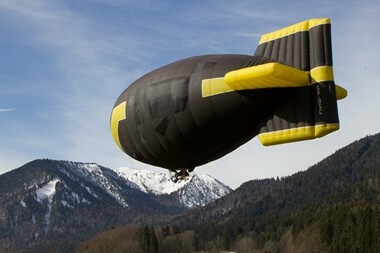 Precision tasks call for pilot's skill in using the high manoeuvrability of airships to approach targets on which they launch markers or to touch down within minimal perimeters. Such tasks can include up to 10 different targets. Held from 24 to 29 February 2016 the weather on some days did not play ball and certain tasks had to be suspended whilst on other days the originally planned for starting points had to be relocated. 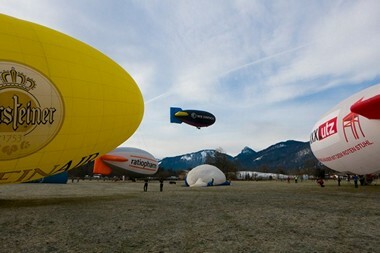 Ten entries from all over Europe were received. 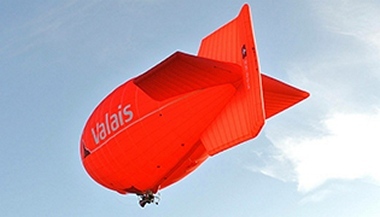 Sweden's Oscar Lindström's airship could not be transported in time to Germany and he was unable to take part. 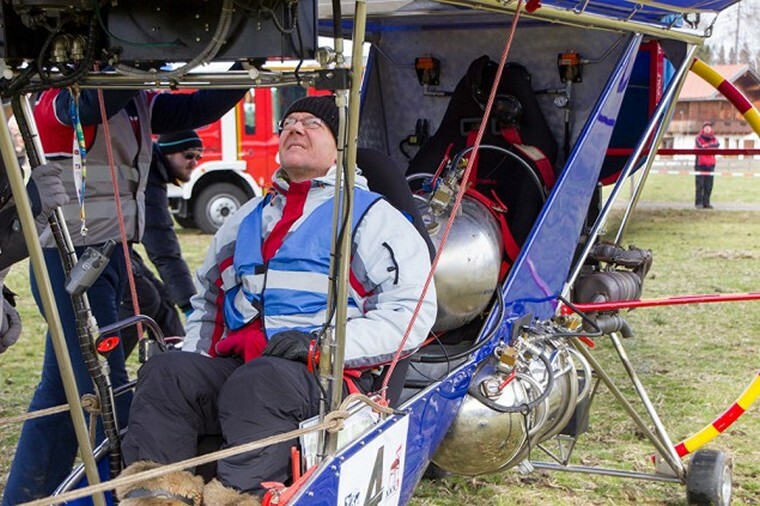 Pia Marie Witt unfortunately did not compete in the last two legs due to technical damage to the airship.